Spring has (sort of) arrived here in the Northeast and despite the somewhat chilly temps, there are signs of life returning. A pair of robins is building a nest on top of the light outside our kitchen window. They're all business, darting and swooping as they carry building material - mostly muddy straw from our garden beds - back to weave it all together. 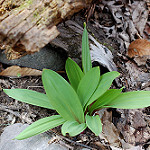 The wild ramps we transplanted last summer have mostly come up (hurray!) Daffodils and forsythias have colored large swathes of the landscape yellow and the green is slowly beginning to creep in. And the wild garlic is up! 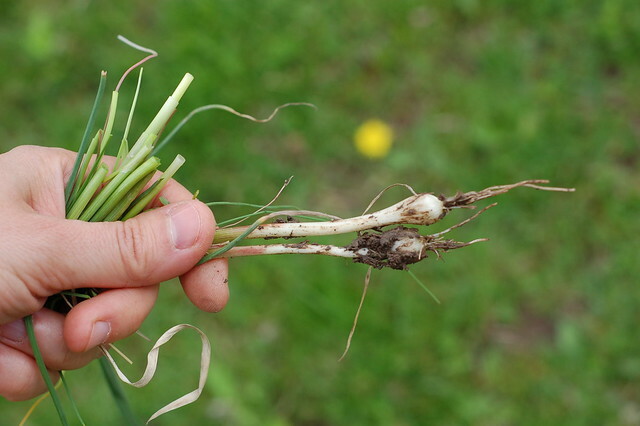 If you're not already familiar with wild garlic, you shouldn't have any trouble finding it. Just look for tall patches of green that make the grass around it look lazy in comparison. As it gets bigger, it sometimes does some crazy curling, too. The entire plant is edible from the leaves to the bulb. 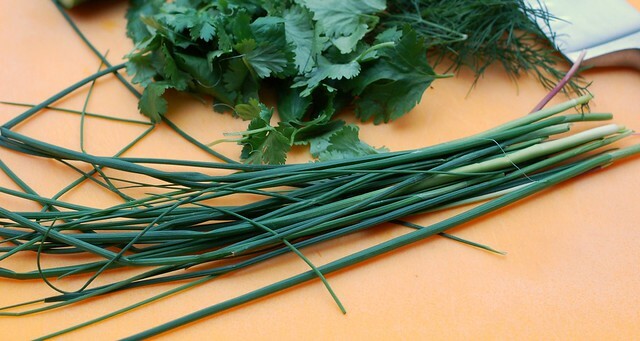 You can use the greens just like you would use fresh chives. Just snip them off with some scissors, wash them well in a few changes of water to get off dirt, sand and bugs, and chop them up however you like. 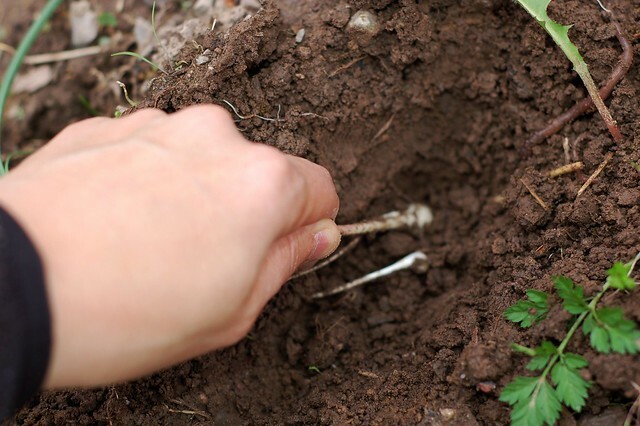 Or you can dig up the whole plant and spend a bit more time cleaning it to make use of the bulb, too. It's similar to a very small shallot. 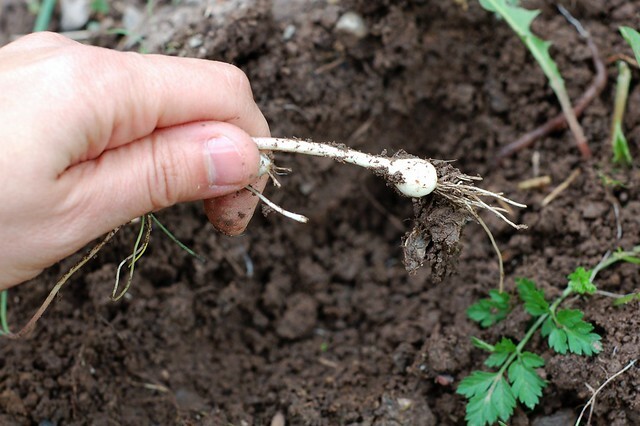 Just a note that our soil is fairly clay-heavy so the bulbs shown here are pretty small - if your dirt is more friable, yours may be bigger! 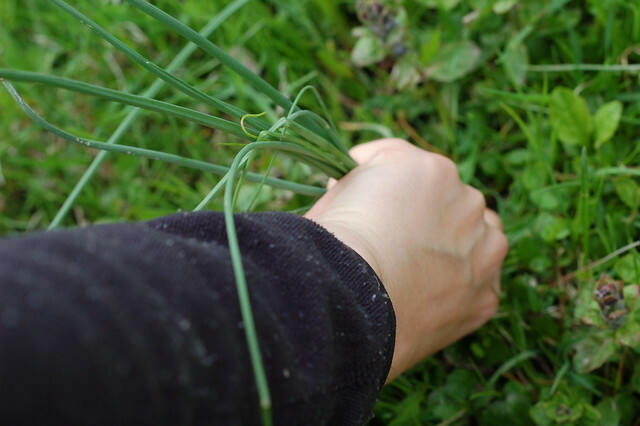 Sidenote: harvesting wild garlic is a great way to keep kids entertained outdoors and teach them about foraging. I did this with my almost-5-year-old the other day - he got really into it and I got twenty minutes to myself and a whole bunch of wild garlic for the soy-ginger marinade I was making. What's not to love? 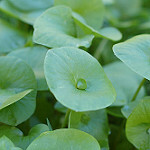 It's free, uber local, utterly sustainable (these are considered weeds...), delicious and good for you. Wild garlic is wonderful in this flavorful, refreshing cucumber rice salad and I also recommend chopping some up and adding them to your next vinaigrette, with or without some fresh herbs. Or try tossing them with a little olive oil and salt and giving them a quick grill - we did this the other night and had to fight our older son for them! 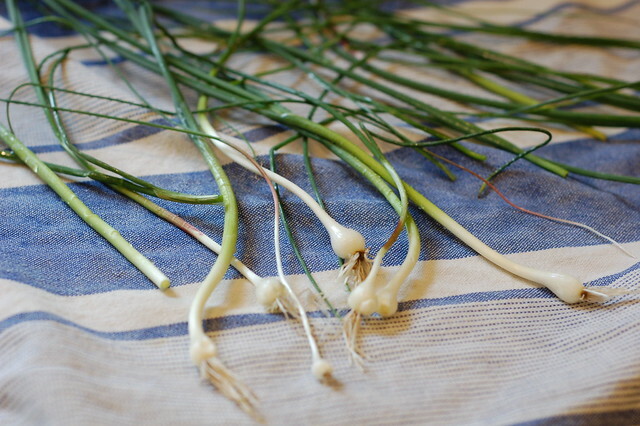 You could also substitute them in pretty much any recipe that calls for ramps, shallots, scallions or chives with lovely results. I'm totally frickin doing this. I can't wait till next year to try it!! Why I saw this so late!!! This post is getting bookmarked! 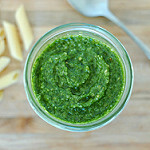 Have you tried nettles yet? They'll be up soon .